Hanukkah is one of my favorite holidays because I love the ritual of lighting candles every night. It’s such a nice, cozy way to end each day when the weather is cold outside. 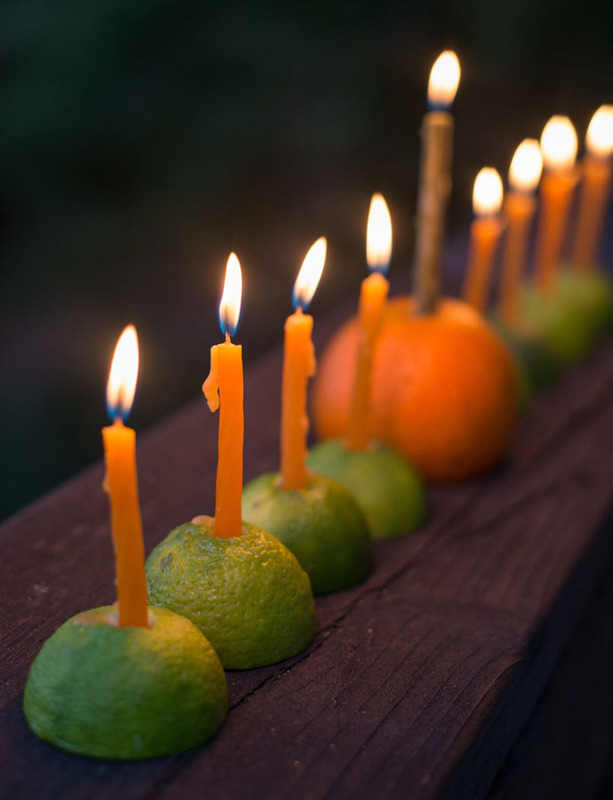 When hosting a Hanukkah party, I like to have a few menorahs around the house, so when I need an extra one, I’ll make one out of fruit! 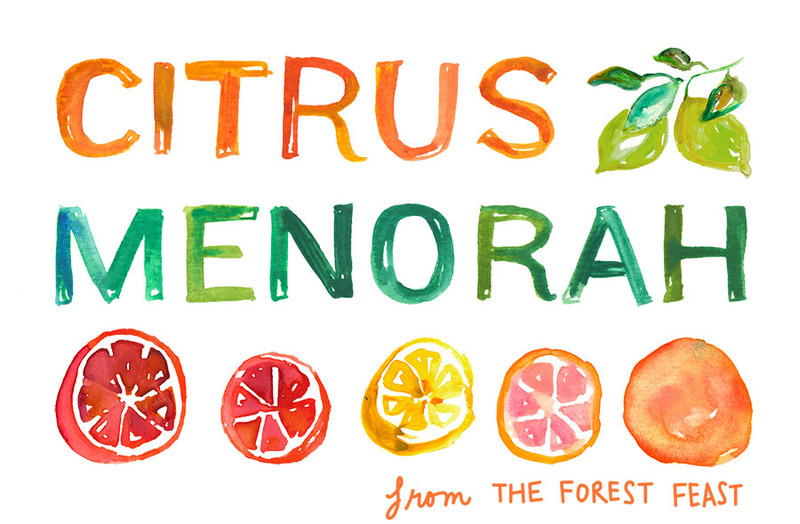 This year I am making a citrus menorah. 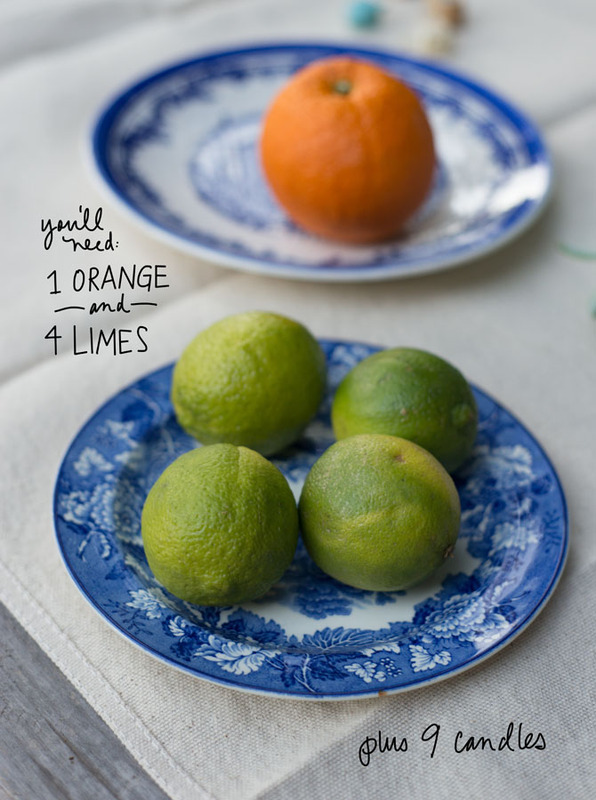 Just slice 4 limes in half and cut the bottom off one orange. 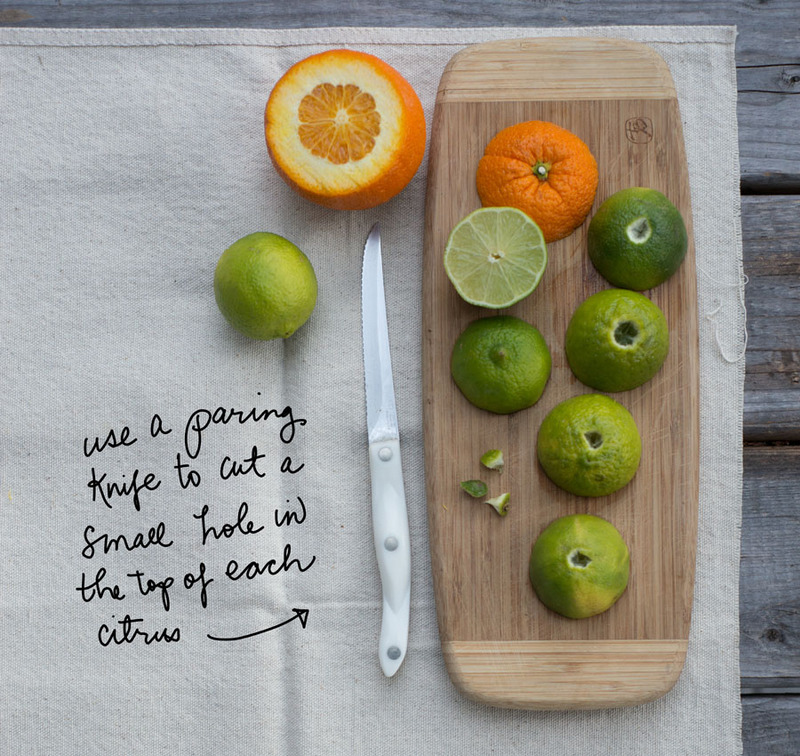 Then carve little holes in each, big enough to put a candle in. This edible menorah might not last you 8 days, so you may consider making it on the last night. Happy Hanukkah!